The way young kids were meant to learn to ride! 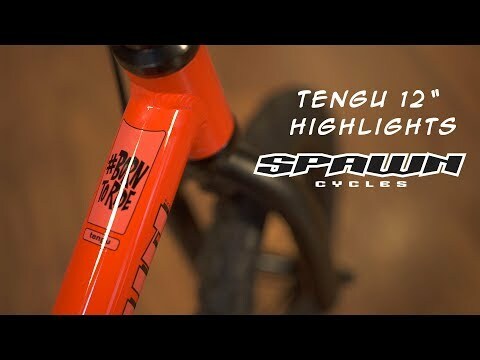 While Spawn Cycles was founded based on the need for a 14” pedal bike, the Tengu was close on its heels in terms of importance. Our son learned to ride on another Company’s balance bike. 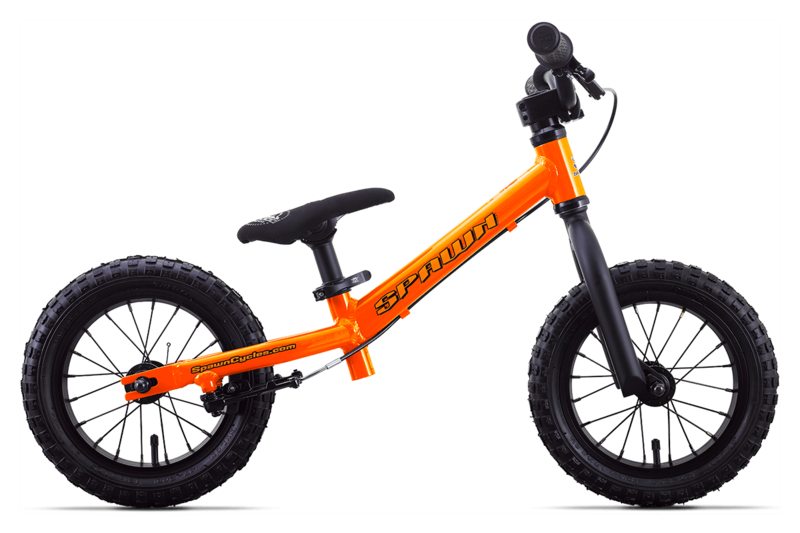 It was a great little bike and we were amazed to see how quickly kids progress on balance bikes in general. Unfortunately our son progressed a little too quickly and outgrew the capabilities of his first balance bike in no time. In a few months our son learned that going down hills was much faster than running. He would often get going too fast to get stopped quickly using his feet, which led to several scary wrecks and one trip through a busy intersection. Functional brakes that a kid actually use seemed like a no-brainer. So, we built the 12” Tengu balance bike. While we were at it, we decided that things like real sealed bearings and a quick release clamp weren’t insane luxuries, but components that even the smallest kids deserved. This is the way young kids were meant to learn to ride. Skip the awkward training wheel phase altogether as their balance improves dramatically. After the Tengu, moving to pedals is a breeze! 6061 T6 aluminum frame, 4130 chromoly forks, narrow sealed alloy hubs, Brood Tenderiderz grips, the amazing Brood Perch Pivotal saddle and most importantly a Tektro V-brake and a tiny, reach-adjustable, easy-action lever. 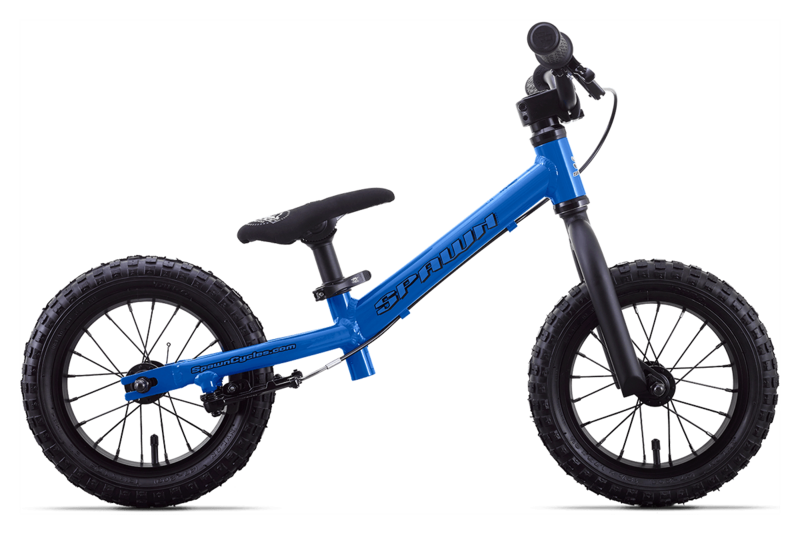 We took a look at the balance bikes currently out in the market and think we have improved on a great concept.